The opportunity to be creative through interior design and bring a vision to reality is often a major perk for interior designers. Although this career utilizes imagination and creativity, it is not all peaches and cream. Like any job, interior design has its pros and cons. The creative process involved in being an interior designer is by far the biggest joy in the industry. At the end of the day, a designer is doing what he or she loves. Interior designers also get to enjoy the moments in which clients appreciate what they have created. Advancement in the interior design industry solely relies on each individual designer. Each self-employed designer has the power in to move up in the industry without the hassle of having to impress a boss. Clients are the only people that they have to worry about pleasing. Interior design grants the opportunity to meet and interact with a variety of different people. You will get the privilege of designing an array of various in-home designs for different clients. Designers often feel that the most satisfying part of the career is learning about someone else and being able to create something specifically for that person. Interior designers set their own prices. If an interior designer is not well known then he or she will need to start small. Until you get your name out there, you will not make much of a profit. Interior design is a competitive business. 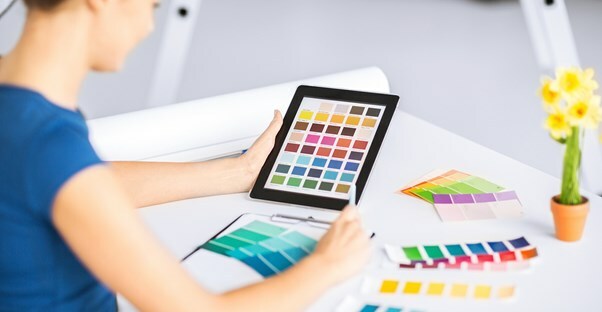 It can be difficult for a designer to keep track of competitors in the area to be sure that clients are not going somewhere else with cheaper prices. Although working with people is an extremely rewarding part of the job, there will always be difficult clients. An interior designer must have good people skills in order to make it in the business. There will be clients that want impossible designs, are extremely picky, or are simply hard to work with. A designer will have to figure out how to make difficult people happy, which is no small task. Interior design does involve long hours and a lot of work. An interior designer is doing what he or she loves, but with difficult clients, deadlines, and exhaustion it can be a stressful experience. They need to be prepared for long hours and difficult times in order to become successful in the interior design industry. If you’re willing to work your way up as an interior designer and continue that hard work throughout your career then you can be very successful. The blessing of a career that involves personal imagination is not easy to obtain, but it is worth the fight. Interior Design: A Lucrative Career Option?